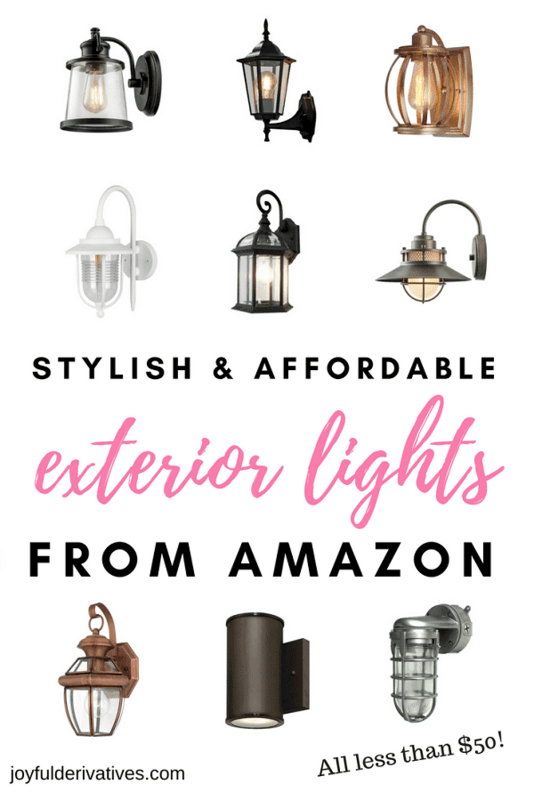 Find the perfect light for your home’s porch or patio in this list of affordable exterior lights from Amazon that all cost under $50! 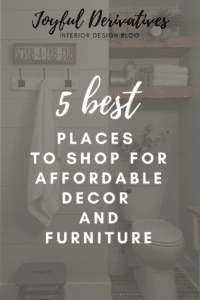 Amazon is a wonderful place to get home improvement items – you’d be surprised by how many affordable options they have to offer. (Their prime shipping is also nice if you need it quick and aren’t a fan of paying for shipping costs!) 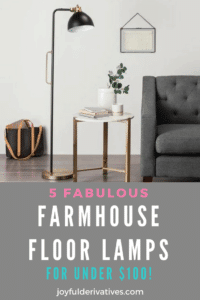 Next time you’re in the market for an exterior light that’s both stylish and affordable, be sure to check out these fixtures that add serious style but won’t break the bank! Chris and I just recently purchased some exterior porch lights for both entries into our new she-shed home office, and in the process of selecting those porch lights, I realized how expensive they can be! 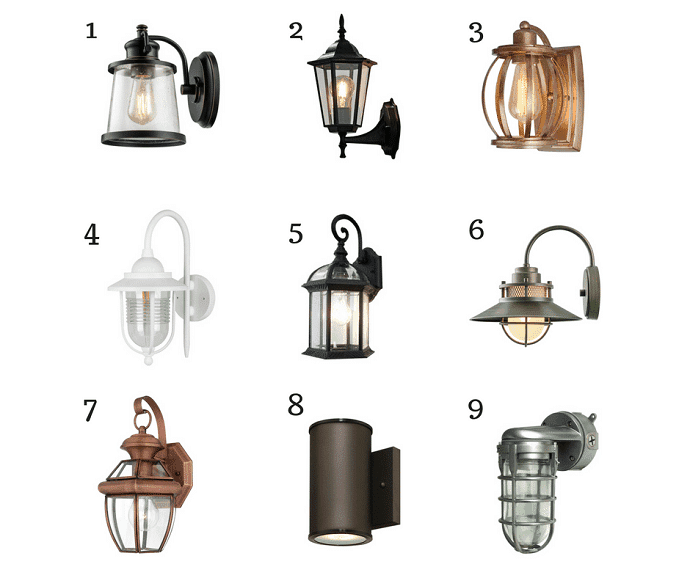 I also realized how many options there are, and it can quickly become overwhelming and difficult to select the perfect exterior light for your home. How large of a fixture do you need? Make sure you don’t get a giant light for a small undercover porch or a tiny light for a large open deck! What color of fixture do you want? Consider the color of your surrounding fixtures, as well as the color of your house’s exterior paint. How many do you need? If you’re replacing one of your exterior lights, should you consider replacing all of them so they match? I hope one of these affordable exterior lights fits your fancy and helps you up the style of your home’s exterior without spending too much money!